Hudson's Bay has a new Clinique Free Gift With Purchase on now! 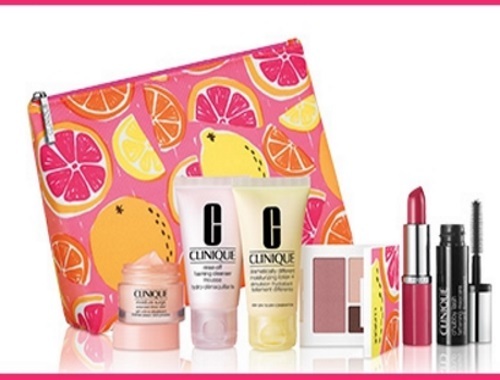 Get a 7 piece gift ($95 value) with any $34+ Clninique purchase! Plus spend more, get more when you choose your bonus gift on top of these gifts with ay $75 purchase (a $135 value). Bonus gifts are Flawless in a flash step-up gift or Power Up Skin step-up gift. While quantities last, gift mus be in cart at time of checkout online.